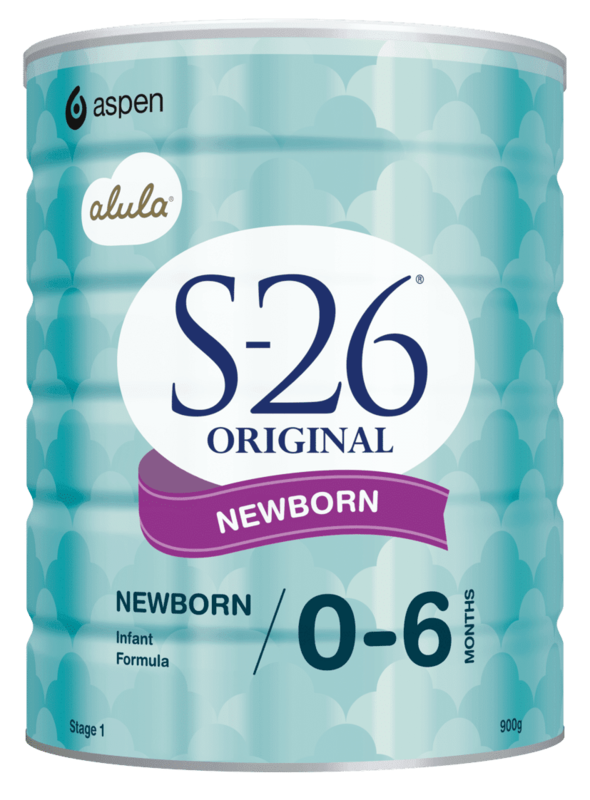 S-26 ORIGINAL NEWBORN is an infant formula designed to provide complete nutrition suitable for infants from birth. At this age, your baby is embarking on a new journey of development, while being totally dependent on you for comfort, protection and nourishment. Together you have a lot of milestones to look forward to. From when your baby is born until they are about to start solids, our infant formula S-26 ORIGINAL NEWBORN is designed to provide complete nutrition. S-26 Original Newborn is made in Mexico. Milk solids, vegetable oils (including soybean), emulsifier (soy lecithin), taurine, acidity regulator (lactic acid), nucleotides (cytidine-5′-monophosphate, disodium uridine-5′-monophosphate, adenosine-5′-monophosphate, disodium inosine-5′-monophosphate, disodium guanosine-5′-monophosphate), antioxidants (mixed tocopherols concentrate, ascorbyl palmitate), L-tryptophan, L-cysteine, L-carnitine. Minerals: Potassium, chloride, calcium, sodium, phosphorus, magnesium, iron, zinc, copper, iodine, manganese, selenium. Vitamins: Vitamin C, niacin, pantothenic acid, vitamin B1, vitamin A, vitamin B6, vitamin B2, beta-carotene, vitamin E, folic acid, vitamin K, vitamin D, biotin. The protein source of S-26 ORIGINAL NEWBORN Infant Formula is cow’s milk.